There are several ways to communicate brand’s value and attract target customers. Depending on the market or industry a brand operates, it is expedient to see customer as more than an individual. Many brands have used product quality while others use nearness and access to sales people as a bait to attract new potentials. No one will blame them; many consumers are price sensitive. Using price as bait has been a major factor which helps many cheap storage brands to stand out. While brands can gain loyalty from its customers through product quality and low price, one of the best ways to enjoy a lifelong relationship with any customer is for the brand to provide necessary support for their clients immediately after purchase is made. Effective customer service starts with point of contacts. As we know, contact with customers start from enquiries made from friends and relatives. Most modern day consumers will further check conversation around the brands online. Hence it is expedient that every brand creates an account and builds positive words of mouth that can at least spur the potential consumer to interact with the brand. A friend shared an experience he had with a storage brand recently and I do believe there are lessons brands can learn from this. 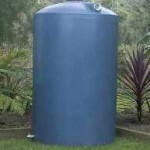 I initially had a smaller water storage tank because the size of my family was small. Each summer I always have relatives who come to spend their holiday with us. So I considered buying a bigger one. A friend recommended a brand. After a search online, I contacted the brand through their social media platform and got feedback within few hours. The customer consultant wanted to know why I needed a new storage tank and what are the unique features desired. After a lengthy conversation, she called to find out if a consultant passing through my area can pick me up for a tour of their showroom. We both agreed on the time and I was taken to the showroom for inspection. The tutorial and attention I got was excellent. The way I was treated was beyond ordinary even though I had not bought anything from them. Despite the efforts, the customer consultant said she would allow time to make my decision on which one to buy. A few hours I left the showroom, I got a call to say thank you for visiting and my valuable time. As at this time, I was bought. The next day I called the brand to make a purchase. The storage tank was delivered and they helped in identifying the most secured place I can fix it. This was followed up with calls to find out if I really enjoyed the product. Since last year, I have introduced over an hundred potentials out of which over sixty percent actually made a purchase. Build a social brand that is active: today, customers will make enquiries and search online. It is not only wise to create account where your brand can be found, it is also important that you have dedicated staff who can respond fast. Look at the long time: The way you treat a customer today will determine how far he/she will go to become an advocate. A satisfied customer can bring untold returns for the brand.